Highland Bank’s Mobile Deposit makes banking more convenient than ever! Enjoy the ease and efficiency of depositing your checks right from your smart phone. 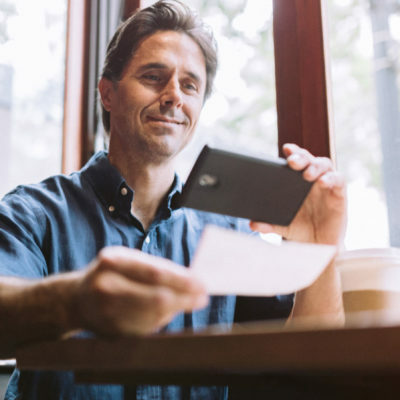 Simply take a picture of the front and back of your check (drawn on a United States financial institution) and deposit them into your eligible Highland Bank checking or savings accounts using your Mobile Banking App.